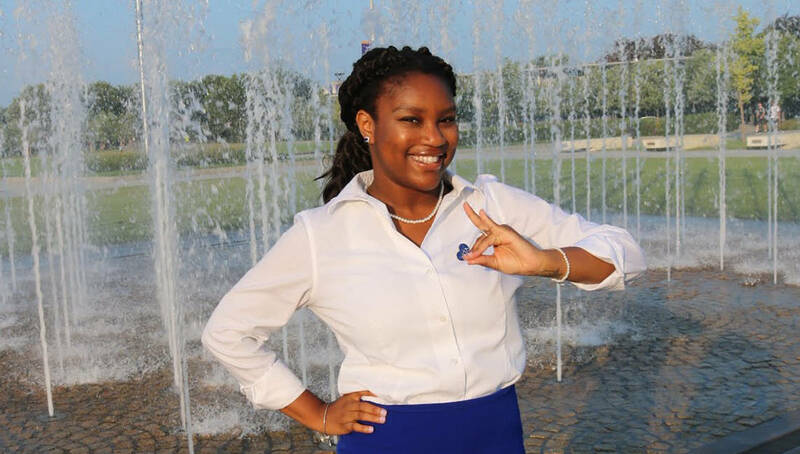 In an effort to highlight the young leaders who are leading undergraduate chapters across the nation, we at Watch The Yard reached out to the women of Zeta Phi Beta Sorority Inc.’s Epsilon Nu Chapter at the University at Albany-SUNY and did an interview with Chloe Anne Blaise the president of the chapter. The position of president of an undergraduate chapter of a Black sorority is a highly respected role and there is a special pride that one takes. 21-year-old Chloe Anne Blaise has used the position to gain new leadership experience, improve the lives of other students on campus and help the community around her. We interviewed the Africana Studies major and talked about her position, goals, future and what it means to hold a leadership position on campus in the digital age. Being the President of your chapter means holding the weight of the organization in your hands. You need to be the physical embodiment of the principles of your organization. You need to be flexible, you need to be adaptable, you need to be personable, and overall, you just need to be humble. Being chapter president is a lot of work, but if you work hard, plan well, and hold yourself accountable, everything will work out, and you’ll be extremely pleased with the fruits of your labor. What made you decide to attend the University at Albany-Suny for undergrad? This was the school that offered the most financial incentive to attend. I plan to go to law school in the future and did not want to be in debt in my undergrad if I could avoid it. I also did not want to put that financial burden on my parents. Our biggest goal as a chapter is marketing and re-branding. We’re trying to make our Instagram more interactive, not just for other Sorors, but for all students on campus (especially interested women) so that they know who we are, what we do outside of Zeta, and what we stand for. It will bring bigger turn outs for our events, cultivate interested women, and help us build a better relationship with other organizations on campus, both Greek-Lettered and other. 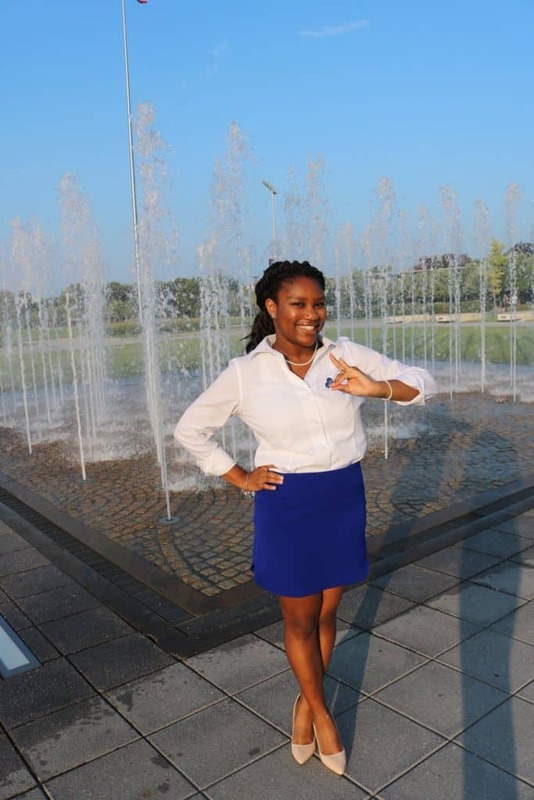 What made you want to pledge Zeta Phi Beta? When I was a freshman, I never really had any interest in Greek life. My parents are immigrants, so I had no exposure to Greek life prior to attending college. When I got here, the Zetas on campus made me do a full 180. They were charismatic. They were fly. 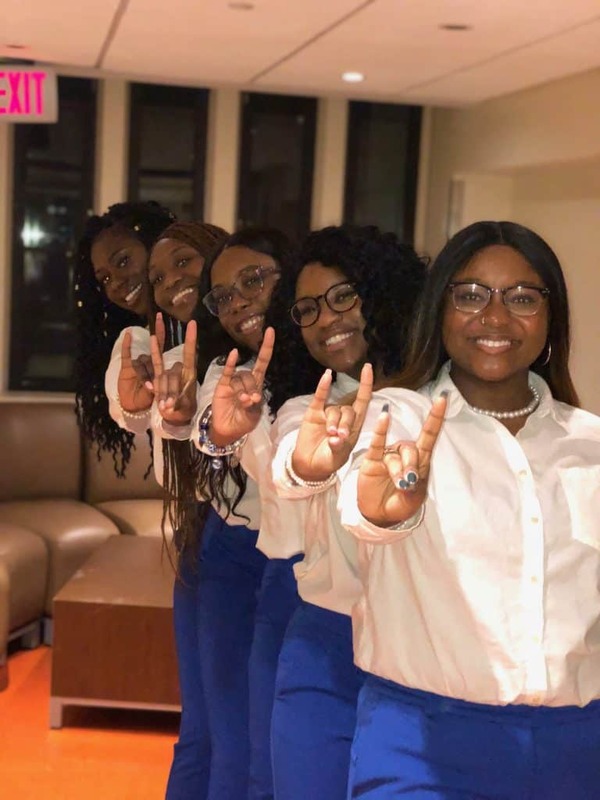 They were multifaceted– there was no one mold for a Zeta; they all looked different, acted differently, had different hobbies and passions, but still were able to come together and run a chapter extremely efficiently. They were sisterly to me before I even articulated interest in the organization. They were about their business– at the turn up on Saturday night, but at community service bright and early Sunday morning no matter how late they were up the night before. They made no excuses and upheld every single standard and principle that Zeta has. 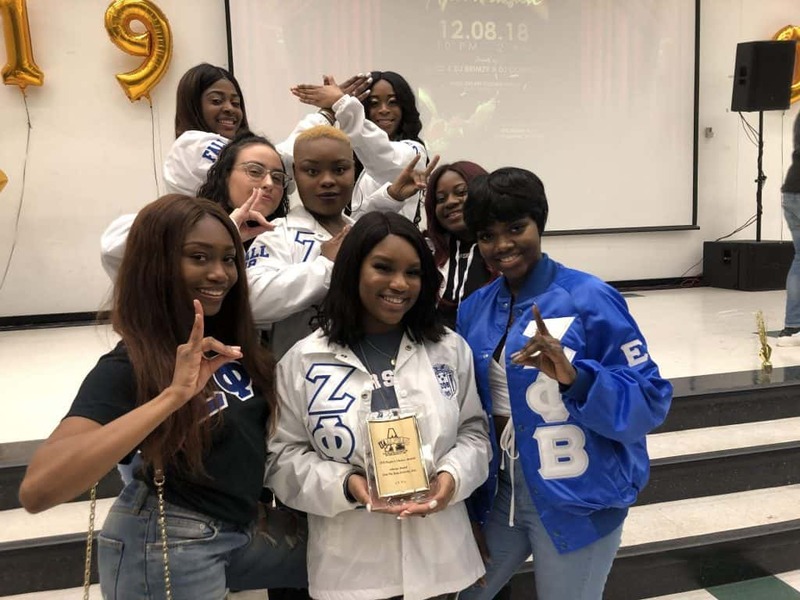 Looking at the other Sororities on campus, there was no contest– I wanted to be part of something bigger than myself, and I knew Zeta was where I needed to be. Our chapter is relatively young (32 years, so our oldest Sorors are barely 50), so its very easy for our Sorors to relate to us and give us the necessary critiques, perspectives, and support we need to run the chapter efficiently. A lot of our chapter alumna hold state and regional executive board positions, so they are always pushing for us to work to our fullest potential, and using their platforms to help us fundraiser for our chapter. I advise all chapters to be extremely mindful of their social media image. A picture says a thousand words, and we live in an era where everything is photographed. I also advise chapters to take advantages of what social media has to offer; utilize the polls on Instagram and Twitter to get Intel on what students need from your organization; utilize the story highlights to highlight important things your chapter is doing. Things like that make a big difference when representing your chapter on social media. To me, being a leader means understanding that you can’t always do what is best for you, if you want to properly serve the community. It means sometimes taking a step back to allow for other people to do the work needed to enrich your organization. It means not taking feed back personally if you want to enhance your leadership skills. These are things I am learning to do, day by day. Watch the Yard is a lot of people’s first exposures to Greek Life. As a first generation American, who does not come from a culture where Greek Life is common, I know first hand what social media does for ones perception of Greek Life. I didn’t know much about Sororities outside of what I saw on TV, so pages like WTY are imperative for maintaining a good image for these organizations. Sisterhood is all about support and accountability. You can’t really be anyone’s sister if you don’t know how to hold them down (physically, emotionally, spiritually, financially if you can), let them know when they’re wrong, and support their goals and dreams. After graduation, I will be obtaining my masters in Public Administration, with a focus on health care policy. Once I finish my masters, I plan to go to law school. My end goal is to create policies that change the health care system and the prison system, as both systems negatively impact people of color in the US. We at Watch The Yard would like to commend Chloe Anne Blaise for her work as the president of Epsilon Nu Chapter which has a long legacy that spans back to 1986. Share this on Facebook and help us highlight Chloe Anne Blaise.